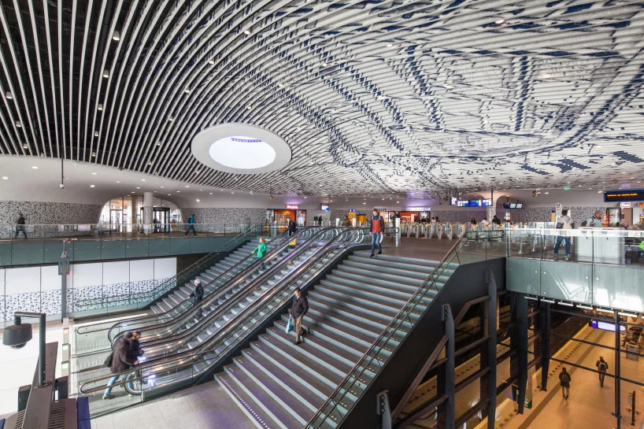 Amidst the modern architecture and undulating spaces of this station in Delft, one design detail stands out above the rest: a huge abstracted version of a map from the late 1800s that connects across a series of aluminum ceiling fins. 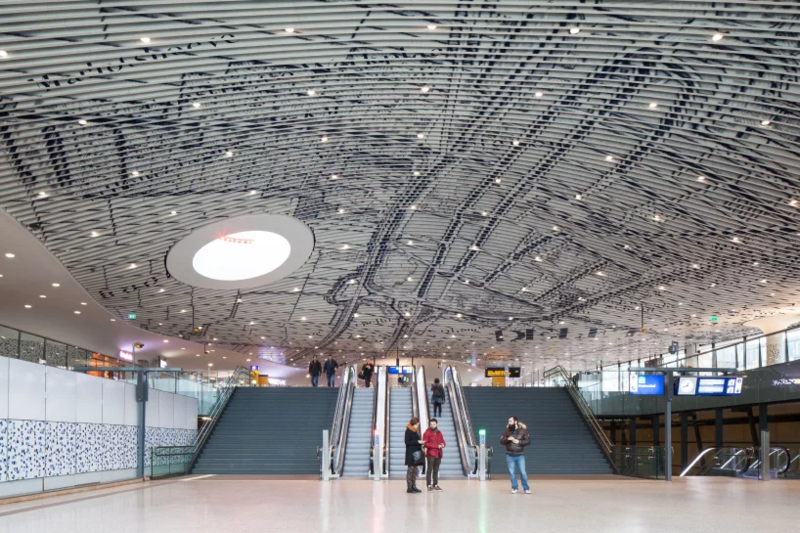 As travelers move through the space, their perspective shifts — overlaid on vertical slats, the map becomes abstract or concrete depending on the viewing angle, and periodically reveals details (like the name of the city) to new arrivals. 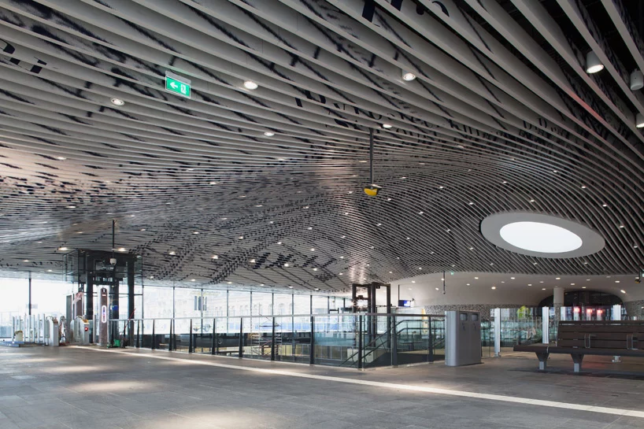 Developed by Macanoo over the last decade, this hub is more than just a station, containing a new city hall and municipal offices as well, but sited above the main transit tunnel is the grand open space connecting it all — an apt place for a massive map. 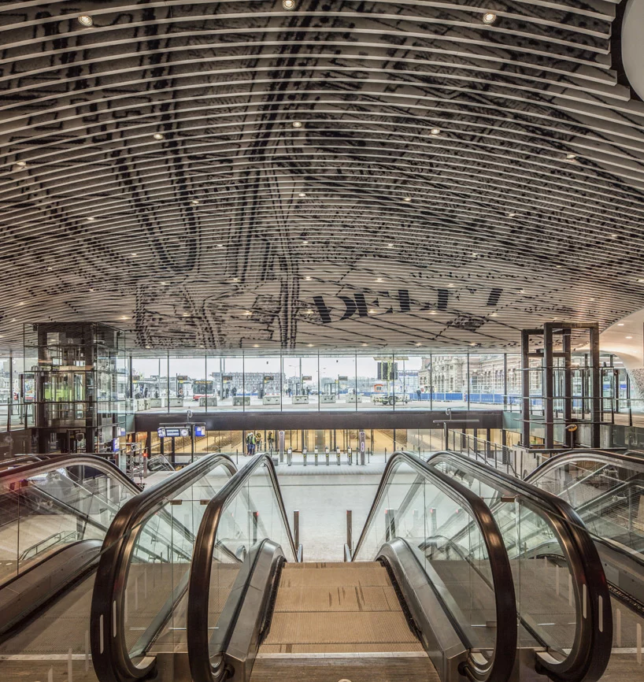 Within the station hall walls and columns are adorned with a contemporary reinterpretation of delft’s famed blue tiles. References to the region can be found in the facade and window designs, too. 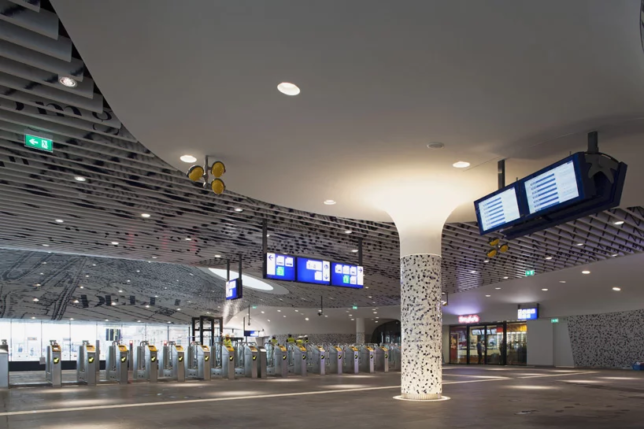 The halls are separated with a glass wall and two further volumes that house the public counters, consultation rooms and technical services of the municipal offices, and the commercial functions of the station hall.